Week 26 proved to be quite successful with 29 fish landed in total. 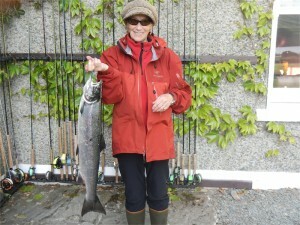 The majority were fresh grilse but there was also some nice sea liced summer salmon. 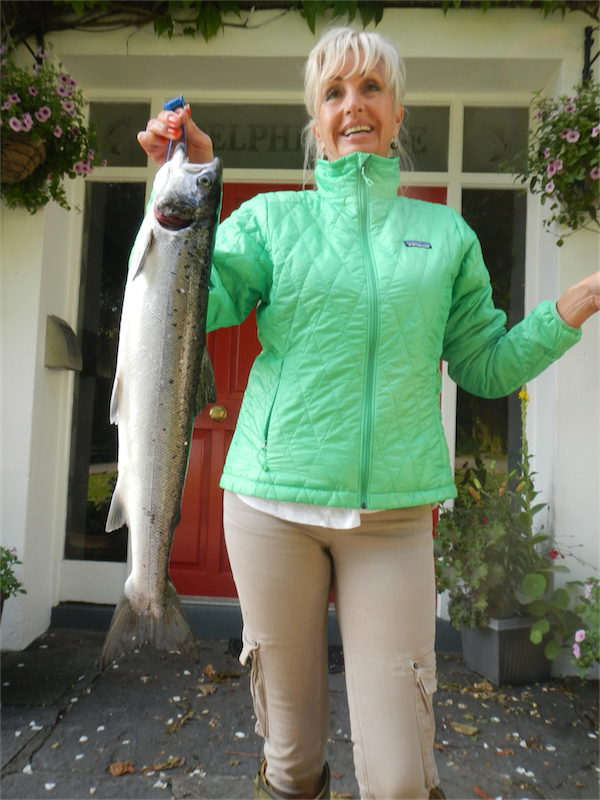 As I was expecting in my last update, we had indeed a few more fish landed on the 25th with Fredo Dietrich having the pick of them, an 8lbs15.5ozs sea liced fish taken on a Sunrae Shadow and expertly netted by his acting ghillie and wife, Christine. There were also four more on Fin that evening; Benni Weltz 8lbs7ozs, Gerda Possinger 7lbs6ozs, Angelika Eder 4lbs12ozs and Martin Nolde 8lbs15.5ozs. All fish were taken on Collie Dogs. 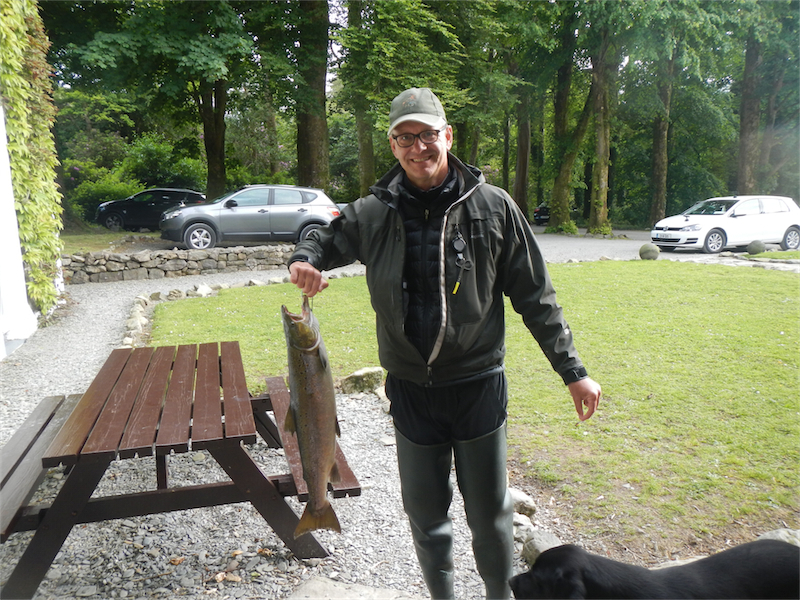 The 26th Reinhard Mittmann was first on the score sheet with a sea liced 4lbs8ozs fish off Fin on a Collie Dog. 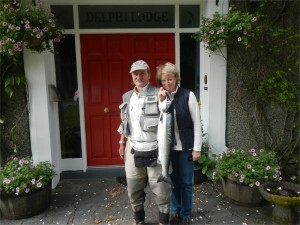 Johannes Hipp had a fish below the bottom bridge on the river of 4lbs on a Willie Gunn. 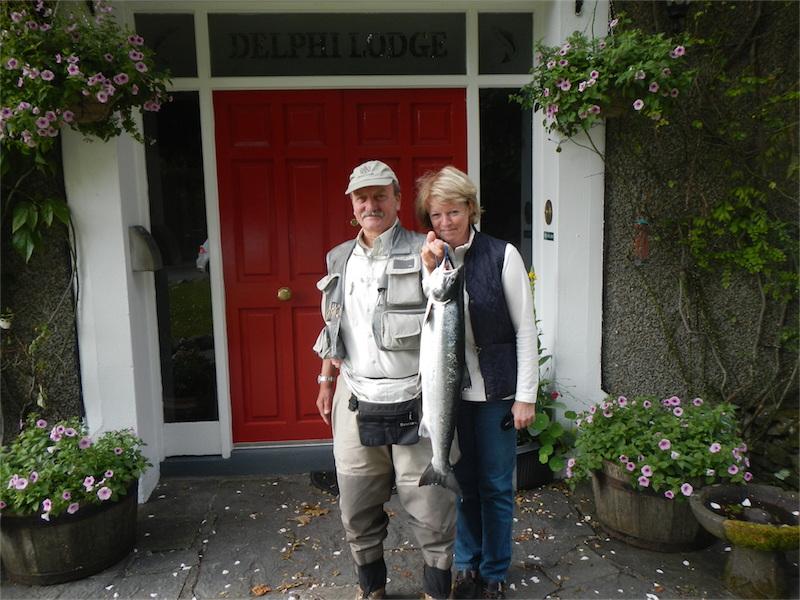 The dynamic team of Fredo and Christine managed to land another cracker of 7lbs12ozs in the Whin on a Sunrae Shadow. 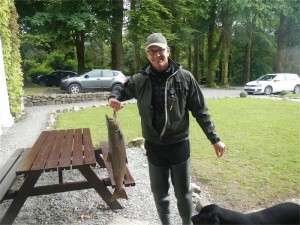 Finally Mattias Eder had a fish of 7lbs2ozs off Fin on a Collie Dog. 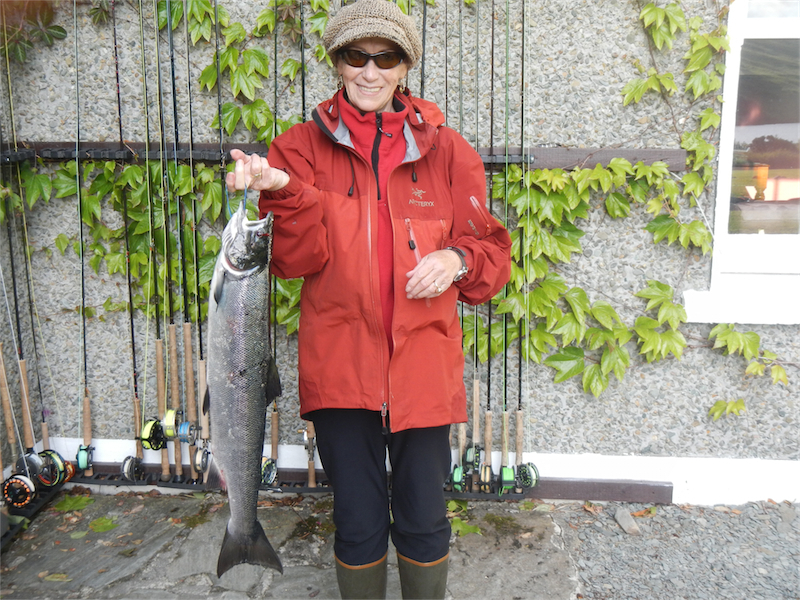 The 27th there were three fish, all off the river, Holly, Deadman’s and Grilse of 3lbs10ozs, 4lbs and 5lbs, all taken on a Collie Dog. Since then the fish have been on strike. 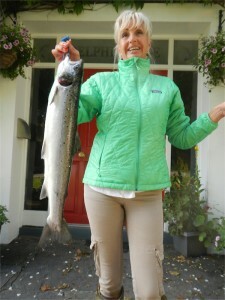 There are plenty of fish being seen, mainly on Fin but also some magnificent summer fish in the river. Hopefully they will get into the taking mood again shortly. That brings our total for the month of June to 74, which is the same as 2009. Before that one has to go back to 2003 before we had more fish in June. Here’s hoping for continued good fishing in July!